This high-protein dog food offers 100% complete and balanced adult small dog nutrition. Little bite-sized pieces make the kibble easy to chew, while the inclusion of both real chicken and real beef make the recipe hard for your little guy to resist. 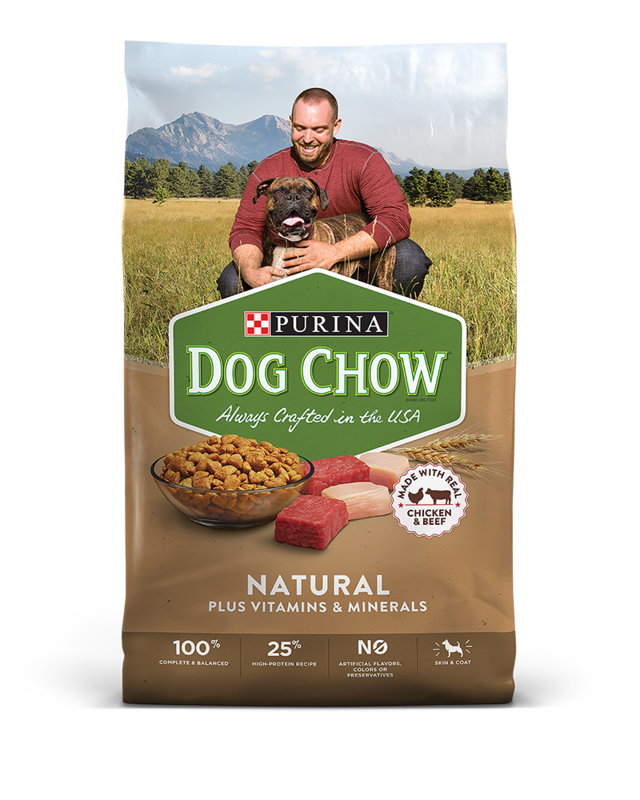 Made with real, American-raised chicken, real beef, and the essential vitamins and minerals that help your dog thrive, this great-tasting dog food contains the protein needed for strong muscles without the addition of any artificial colors, flavors, or preservatives. So, give your adult dog the meaty flavor he craves and the 100% balanced nutrition he needs with this affordable, natural recipe. 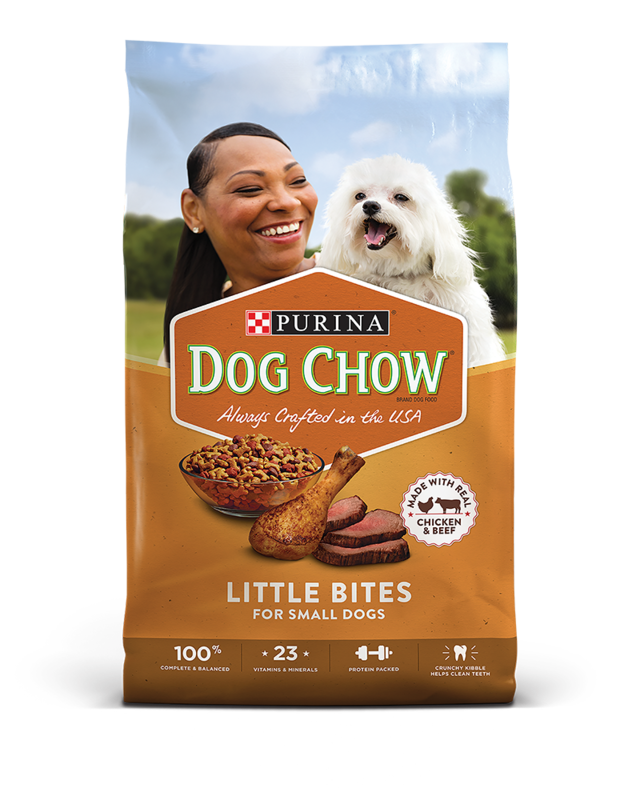 Featuring a combination of tender, meaty chunks and crunchy bites, this two-texture dog food is full of the variety and flavor that dogs love. 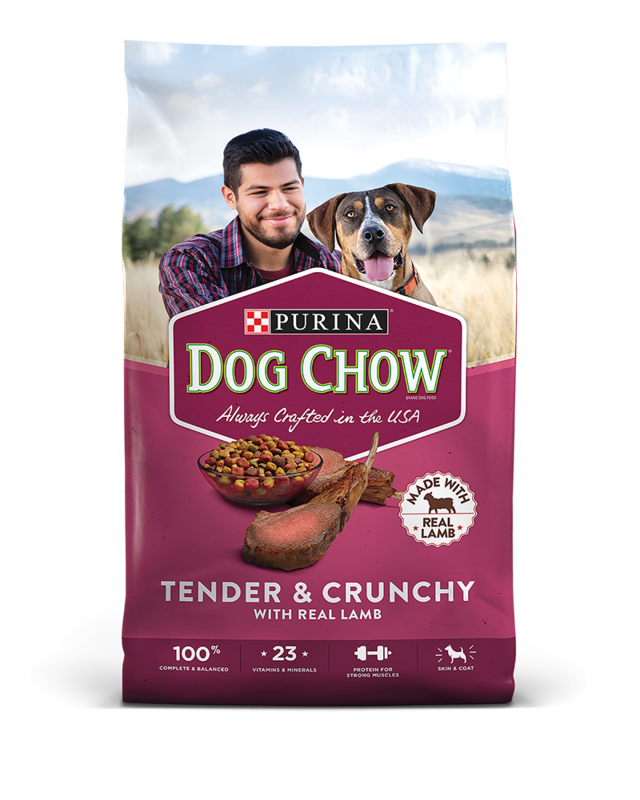 It’s made with high-quality ingredients like real lamb and offers the 100% complete and balanced nutrition that adult dogs of all sizes and breeds need to live long and healthy lives. So, pour a bowl and watch with satisfaction as your dog delights in the medley of flavor and texture. 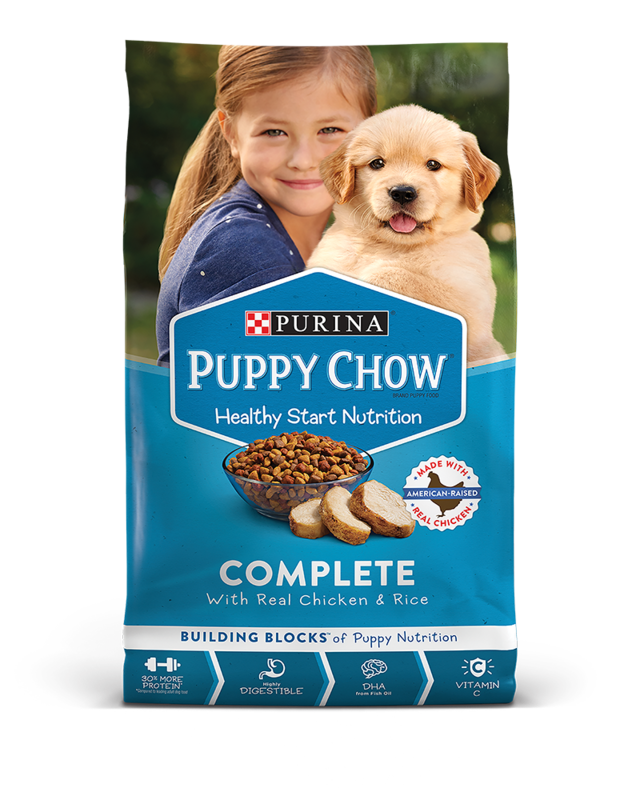 Made with real, American-raised chicken, this thoughtful puppy food recipe is specially formulated to give puppies all the nutrients and calories needed to support all facets of their growing and developing bodies. It features 30% more protein* for strong muscles, DHA to help support proper brain and vision development, calcium for strong bones and joints, and antioxidants for immune support. Big breed puppies have unique nutritional needs for their first two years of life. 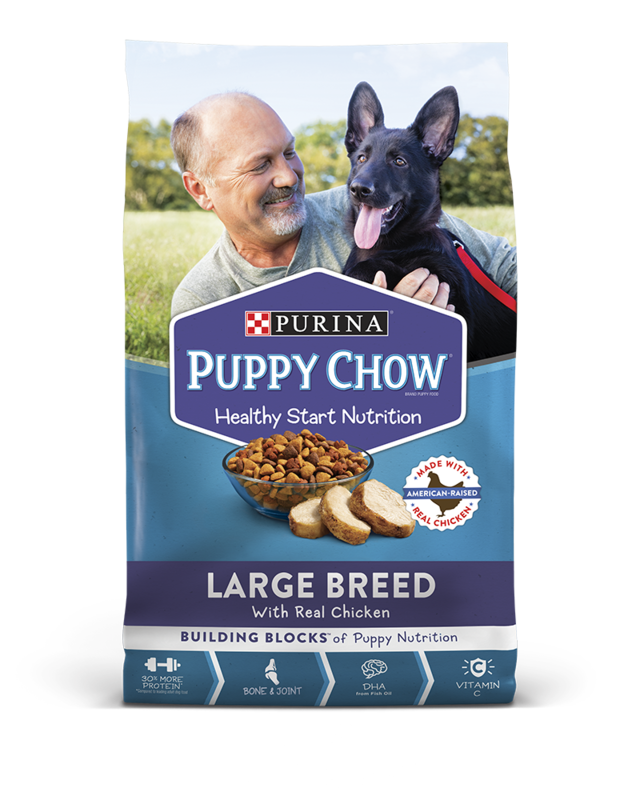 And with real chicken, DHA, calcium, antioxidants, and other high-quality ingredients and essential nutrients, this protein-rich large breed puppy food recipe has everything your not so little pup needs to grow up to be not so little. 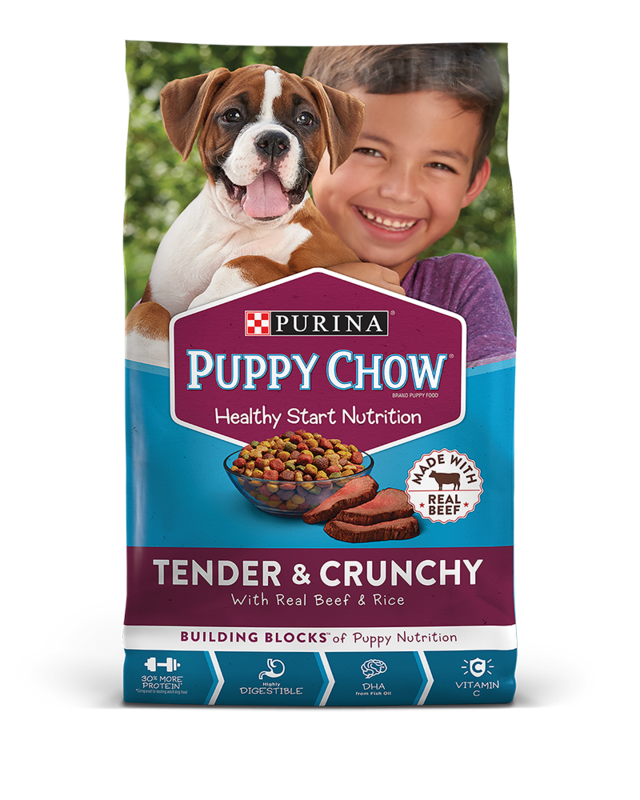 Give your puppy a healthy start with a delicious recipe formulated to support his rapidly growing body. 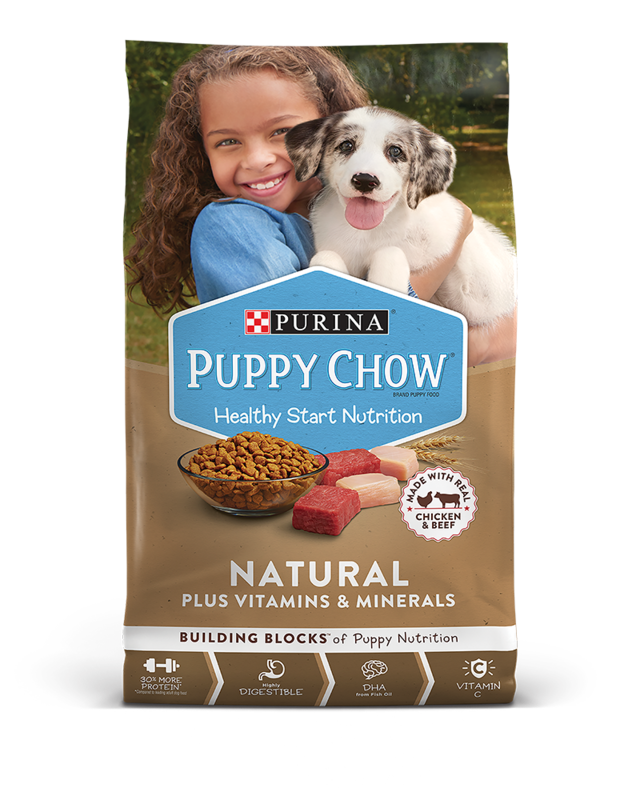 This natural puppy food recipe is made with real chicken, real beef, and no artificial colors, flavors, or preservatives. And through the inclusion of DHA, calcium, antioxidants, and other essential nutrients, it delivers everything puppies need to help them grow up healthy and strong. With 10% fewer calories than Dog Chow Complete Adult With Real Chicken, our Healthy Weight dry dog food is a perfect way to help your dog achieve his or her ideal weight without having to compromise on taste. 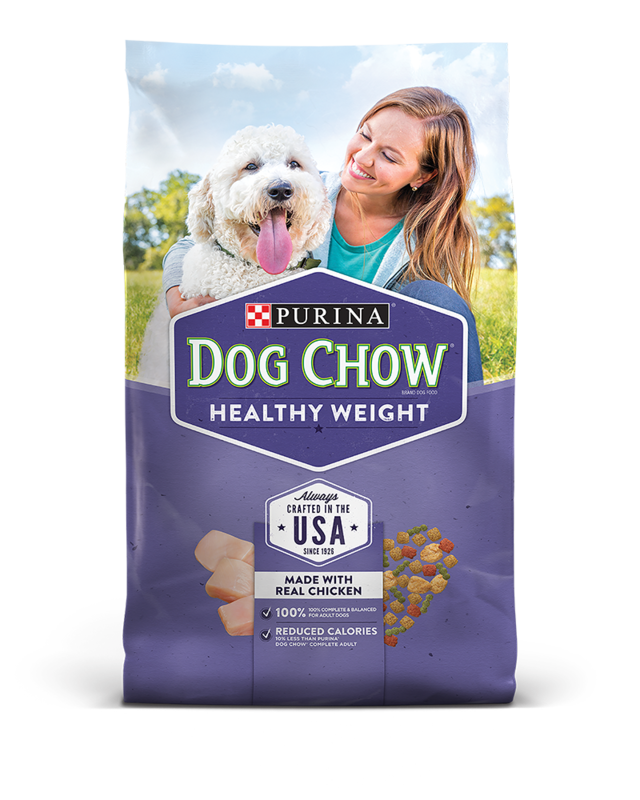 The weight management recipe is also made with high quality ingredients like real, American-raised chicken and offers 100% complete and balanced nutrition in a delicious combination of tender chunks and crunchy kibble that adult dogs love.